Down here in London it just keeps raining and raining and raining. We're getting really fed up with wet feet and muddy paws. 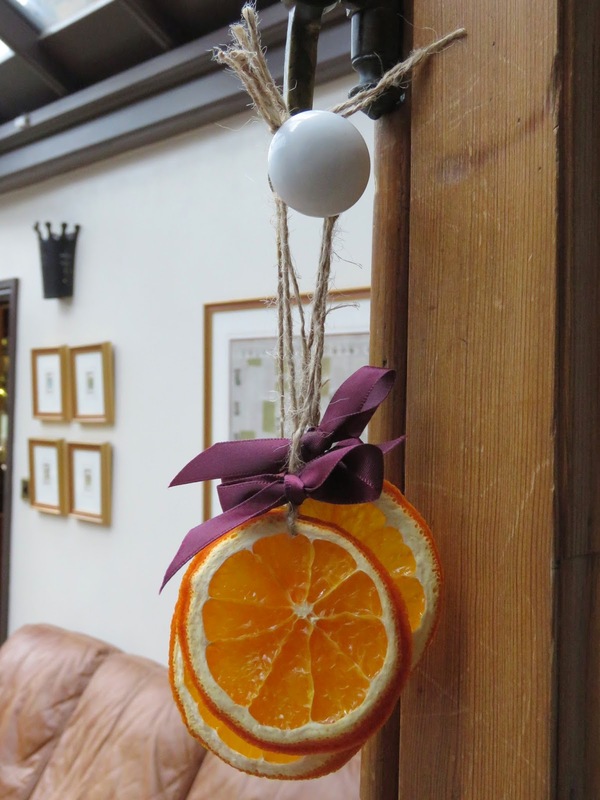 So to keep our spirits up we're looking forward to December when we can get going and deck the halls with boughs of holly ... . They look great: simple, traditional and understated, with their little ribbons and rustic hemp string ties; all very shabby chic. If you'd like to make some for the Big Day, they're really easy to cobble together. 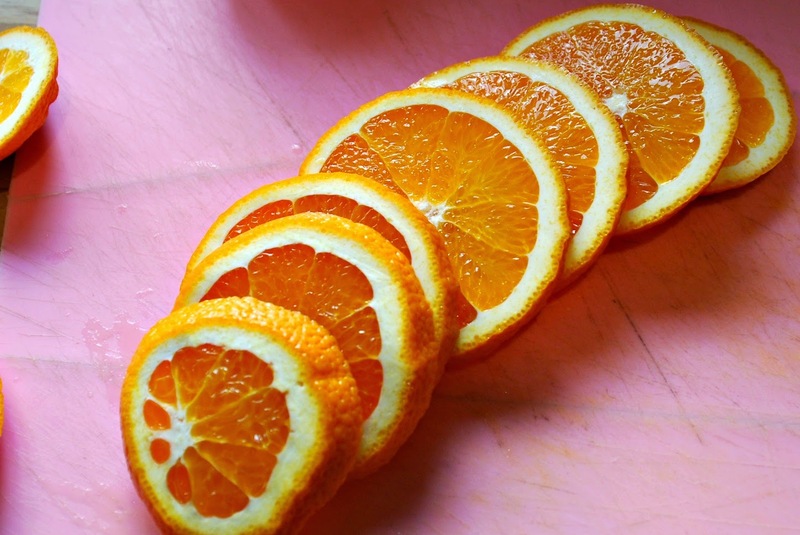 You really need to start the day before by slicing your oranges into straight slices that are about 1 cm thick. Place them on a baking tray lined with baking paper. 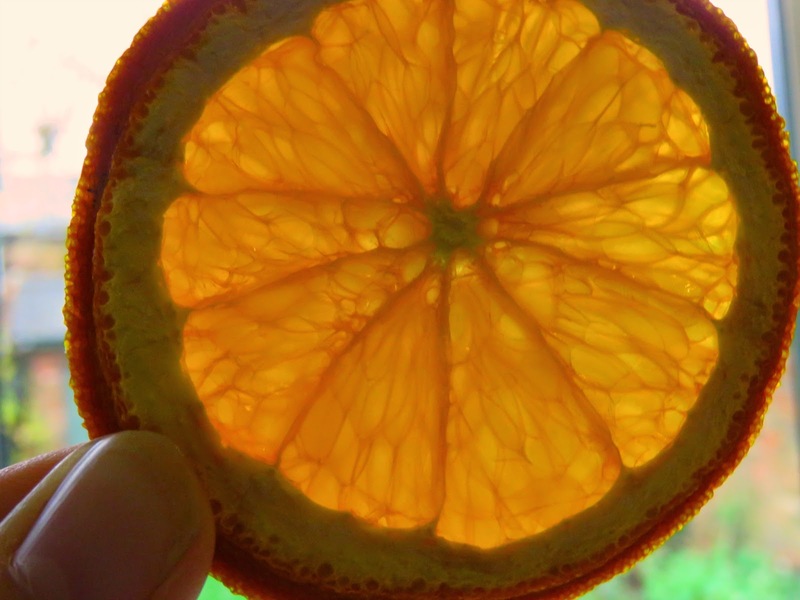 Heat the oven to 50º C, and place the tray of orange slices in the oven for several hours. The longer you can leave them in there for, the better will be the result. Mine spent the better part of the day drying out in the gentle heat, and then I switched the oven off left them in it to cool down gently overnight. When I held them up the light they were lovely, and I thought happy thoughts about how pretty they'd look on my Chrimbo tree illuminated with sparkling fairy lights. Now all you have to do is string a little bit of hemp string through each slice and you'll be half-way home. 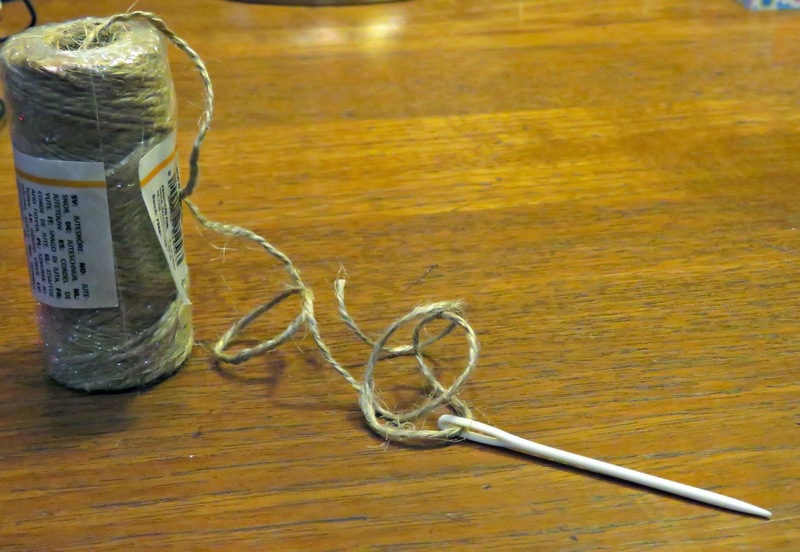 I threaded the hemp string through a darning needle. 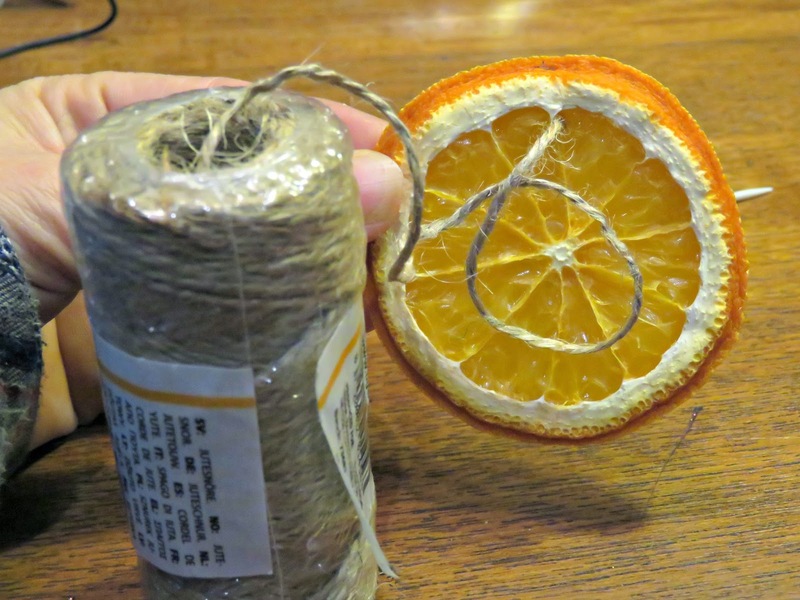 And then pierced a hole in the orange and drew the string through with the needle before cutting it to the length that I wanted. Then I joined the two ends of the hemp string with a knot, and prettied it up with a piece of ribbon tied in a bow. And that's all there was to it. In my photos I've shown them hanging from various knobs and knockers around the house, but the big plan is to put them on the Christmas tree once I get it installed ... which is going to be one day very, very soon. 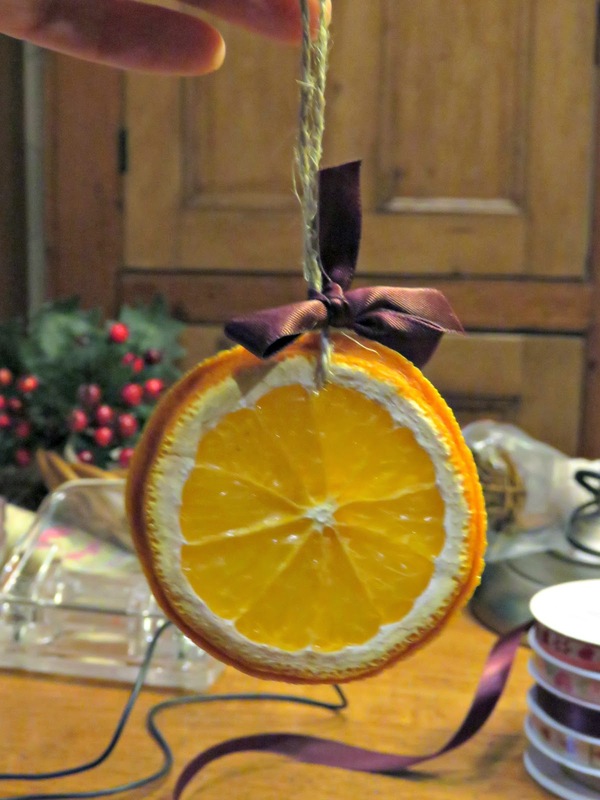 I've got a few slices left over that I could use in some festive pot pourri. They'd look great with some pine cones and a few pot pourri roses. I am totally going to make these. They are so sweet and festive. Even I can "bake" them! Thanks Bonny. I hear you! I can't believe we moved to a country where it rains 11 months per year. Ouch! I sure want to move to a warm sunny place next. 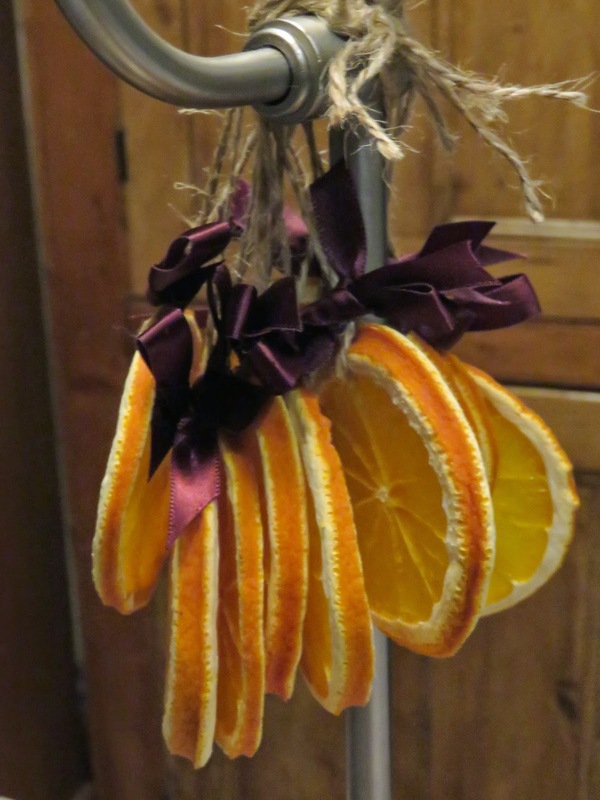 ;) I do the same with oranges every Christmas. You are the first person I know (apart from my family/relatives) doing the same! :D I usually also add a clove or a star anise. 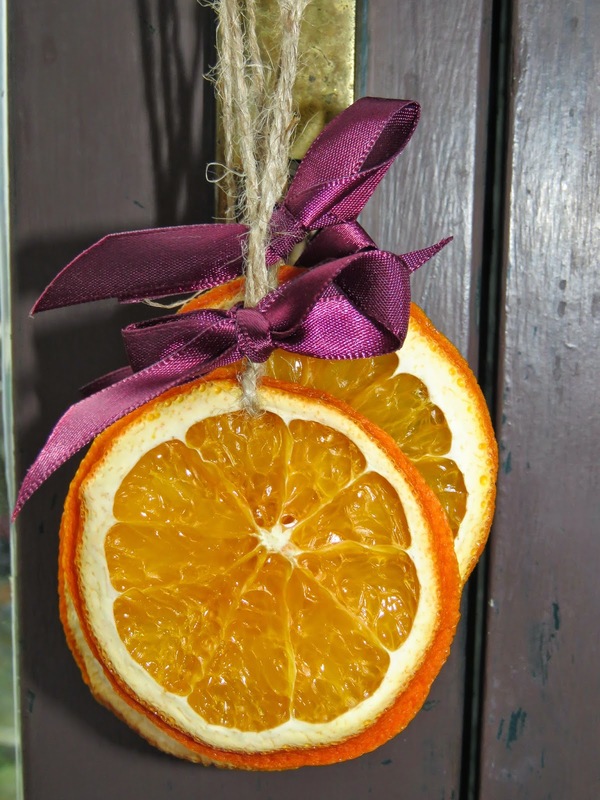 We traditionally decorate for the Holidays on the 6th (St. Nicholas' Day) or the 8th (Immaculate Conception). What about you? This is lovely. I'm definitely going to be making this too. Happy Thanksgiving! 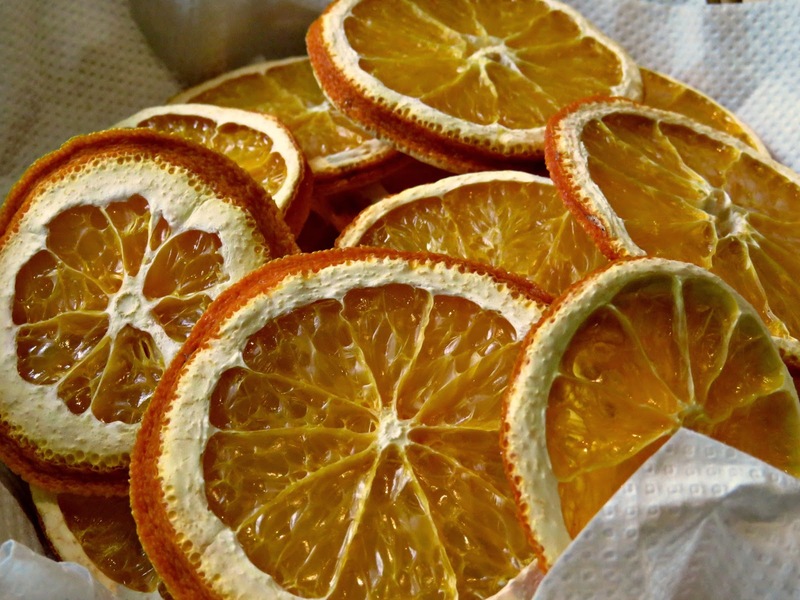 May try these - I love the scent of oranges ! !